Our range of bottleless budget coolers offers an inexpensive way to get chilled, clean and filtered water from a mains water supply. Our engineers will come and install the coolers and 6 monthly sanitisation are available for £75. For your £75 you get a visit from one of our engineers who will fit a new filter, sanitise your cooler and clean everything up leaving you with a perfect clean and healthy cooler. Home Water coolers is a sister company of The Water Delivery Company and The Water Cooler Company, all rental contracts for bottleless coolers taken out will be with The Water Cooler Company. 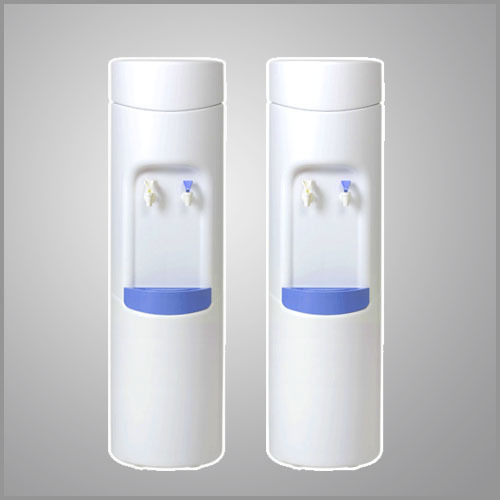 The Mogul bottleless water cooler is a high capacity mains-fed water cooler available in floor standing with a white casing. This mains-fed water cooler can be rented from £4.00 per week – dependent on contract length. With it’s smooth classic lines the Mogul bottleless water cooler will compliment any décor. The contoured drip tray enhances the shape of the cabinet and conveniently holds a cup or glass for hands-free filling. It is available in ‘room temperature and cold’ or ‘hot and cold’ (with child safety taps). This plumbed-in water cooler has a compressor within the water cooler. This means that it has a high capacity for chilling the water quickly. It also features a removable drip tray for easy cleaning. £4.00 per week on a three year contract – for either “Room temperature and cold” cooler or “hot and cold” water cooler. The Hydropoint bottleless water cooler is high capacity mains-fed water cooler available in floor standing or counter top with a white casing. 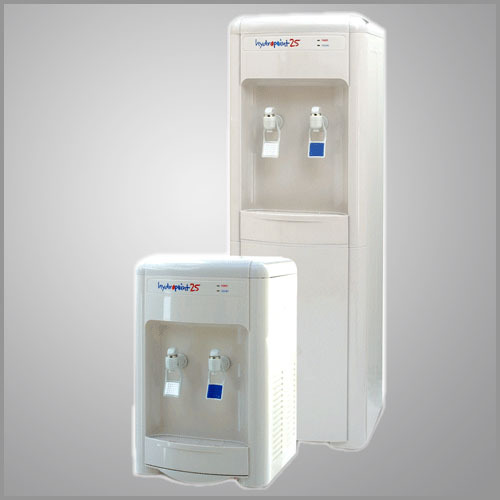 This water cooler can be rented from £5.00 per week – dependent on contract length. This plumbed-in water cooler has a compressor within the cooler. This means that it has a high capacity for both chilling and heating the water quickly. 2.5 litre cold tank – Up to 19 litres per hour. 1.5 litre hot tank – Up to 7 litres per hour. All rental prices include installation, full servicing and six monthly sanitisation and filter changes for the coolers. Unlike others, we have no hidden costs. Rental price reductions for multiple coolers. We also offer our coolers for purchase. Please note that these prices do not include VAT which is added at checkout.